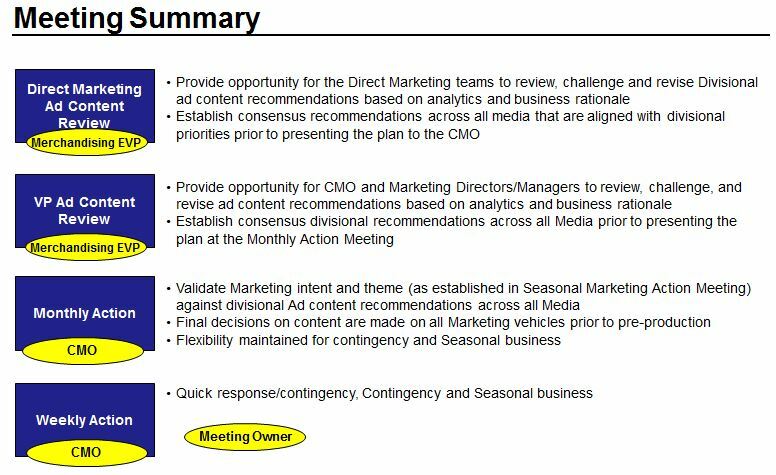 1) All involved marketing & supporting departments must have input into the development of, and be fully represented on the master marketing calendar. 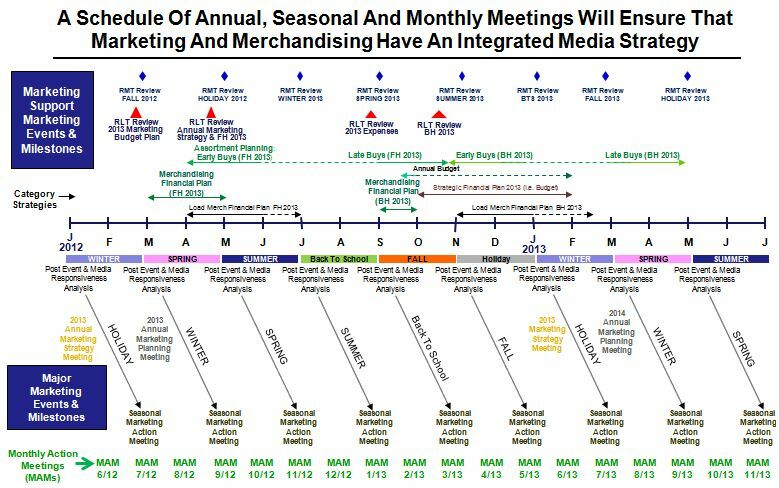 2) All the departments represented on the calendar in must understand their responsibilities, deliverables, due dates, inter-dependencies with other departments as well as the metrics that they are being held accountable for in each step in the process. 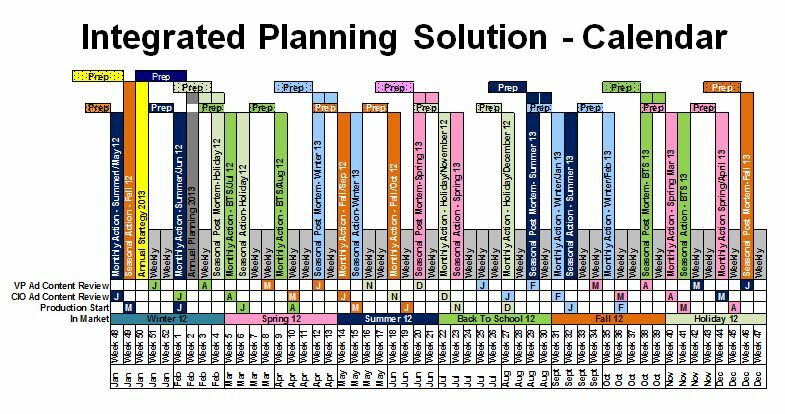 3) Process Service Level Agreements (SLA’s) shall be in place for each process handoff such that the overall calendar timeline retains tactical delivery integrity. 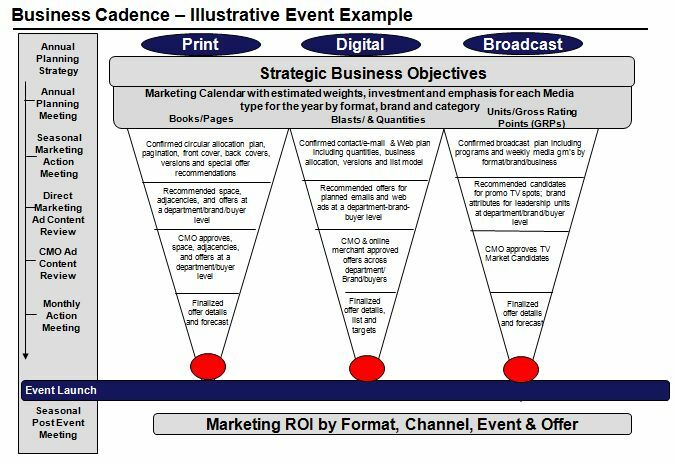 4) The calendar must be chronologically intuitive (flow left to right for each sequential major marketing event). 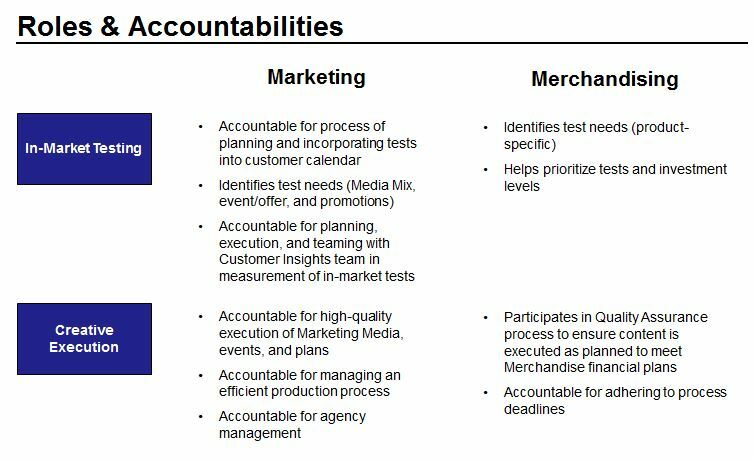 5) Process details must be developed for each major milestone represented on the marketing calendar. 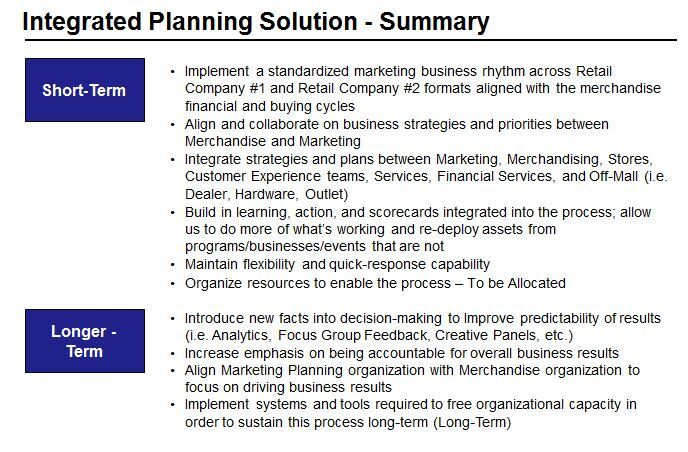 6) A process step owner must be identified for each process step with clear articulation of their responsibilities. 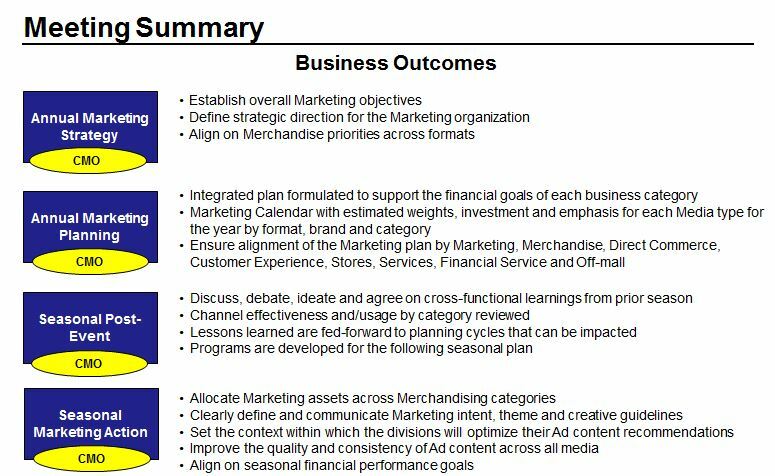 7) Calendar post-event reviews must capture marketing event & campaign lessons learned, planned vs. actual metrics, customer feedback, etc. 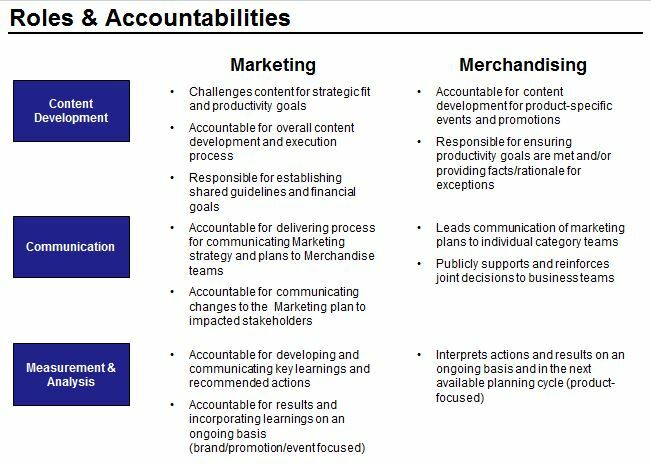 8) An actively managed marketing best practices knowledge base must be maintained to capture & propagate captured calendar relevant & other best practices & lessons learned to all stakeholders. 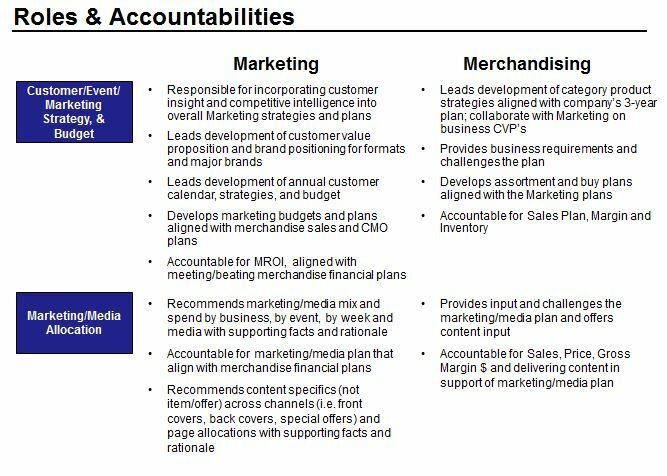 9) Marketing executive sponsors & steering committee members must play a role in the development & execution of the master marketing calendar. 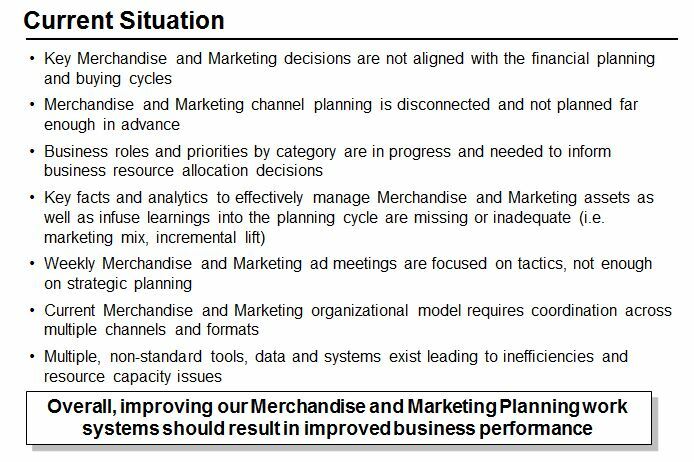 10) Periodic calendar process reviews must be conducted to ensure the calendar & critical processes on the calendar are as efficient & effective as possible.